Some people only spring clean. But I fall clean too! My closet that is! The beginning of September has always been when I thoroughly clean out my closet. In my opinion, nothing prepares a closet for winter more than cleaning it out and adding space. Winter holidays + presents = tons of clutter opportunities! Don't let it happen Frugalista's! Start early! Also worth noting...I decided on some things yesterday. To make my blog fit into my life better and have greater content for you, I've decided to post 1-2 times a week. I was attempting every other day but that made my life a little too hectic! Blogs should be fun! Not stressful! As I get used to bloggin I will obviously update more. But if you have a blog too...remember! It's meant for fun! But back to the fun stuff! 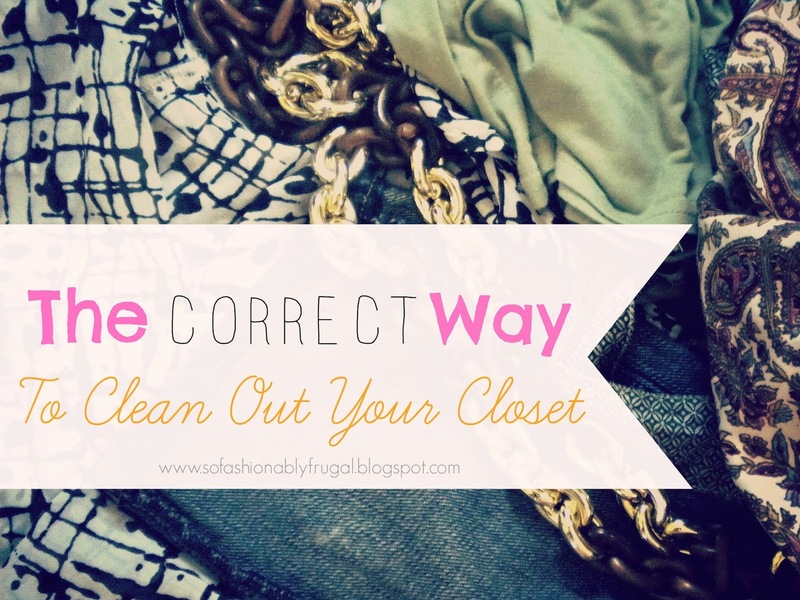 Here's my rules for cleaning out your closet! 1) Always Donate- If it isn't destroyed or stained, another person would be happy to wear it. Not your garbage can. Remember! One persons trash is another persons treasure! 2) Recycle- If it's destroyed or worn out, throw it in a bag for recycling. Check if your local center recycles clothing. A lot actually do! 3) Ask Questions- Sometimes it's hard to let go of some clothing. Even if you don't use it anymore. So ask yourself these questions to help you out. Does it reflect who I am? ⇠ most important!! These tips will help you get rid of a lot of stuff you've been saving. So roll up your sleeves and get ready to enjoy your clutter-less closet!